About two weeks ago I posted an article on Sony's eBook Platform for Self-Publishing and wondered aloud as to how we can tie this type of tool into creative writing activities. Well, along comes FastPencil, an application which combines workflow, writing, and self-publishing into a service. 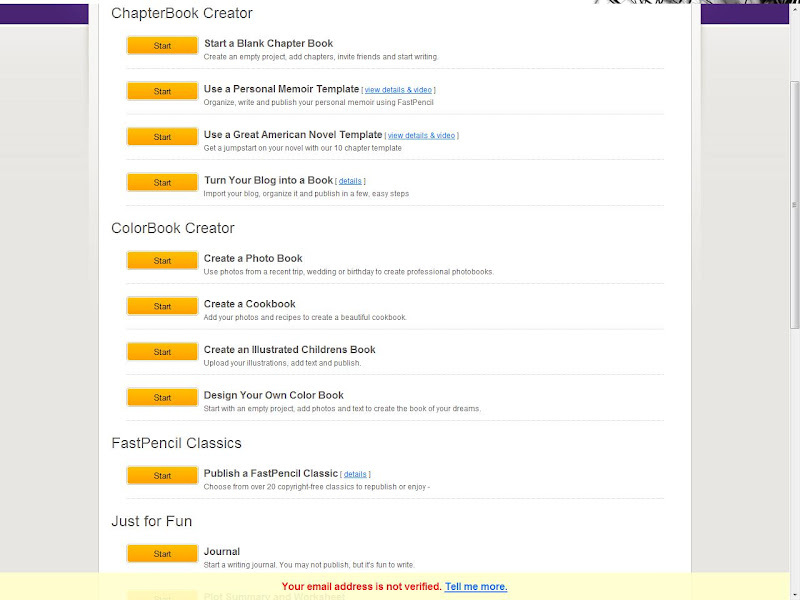 You can create a Kindle-formatted book or DRM-free e-publication!? Now you've got the service which will not only guide you toward the e-publucation goal but ensure that your document is deliverable via the eBook Platforms. FastPencil has some really friendly templates and a ton of options, everything from the standard novel, to children's stories, to journal...I'm going to give it a try and see how I can use it. As a final note, I think one of the key features of this tool, especially for those adventurous enough to actually try it, is its collaborative features. It invites people to connect via Facebook or their webmail accounts, and provides them with the online collaborative features which are now standard in wikis and other social tools.